Mmm, chocolate! Lovely Cadbury Chocolate, there really is nothing quite like it. 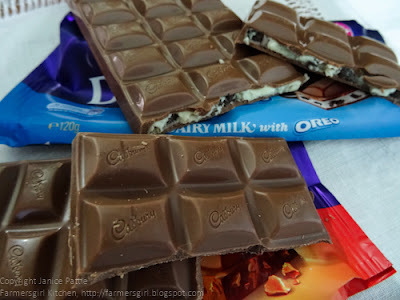 I'm a bit of a traditionalist when it comes to my Cadbury flavours, I tend to go for Fruit and Nut or plain Dairy Milk. I would never have picked up these two flavours, but I surely wasn't going to refuse them when they were offered for review! 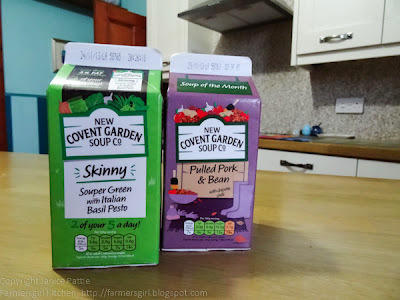 Not only is each Skinny soup hearty, chunky, filling and flavoursome but each boasts less than 2% fat per carton and less than 150 calories per portion. Furthermore, the soups all contain two portions of your five a day, four green traffic lights and no added sugar, making them the perfect choice for slimmers looking to cut down ahead of the festive season and into the New Year. Souper Green with Italian Basil Pesto is a delicious medley of peas, leeks, courgettes, spinach, broccoli and green beans, finished with a swirl of Italian Basil Pesto. This satisfying soup is packed with flavour but all green on the traffic light system so a great choice for slimmers. 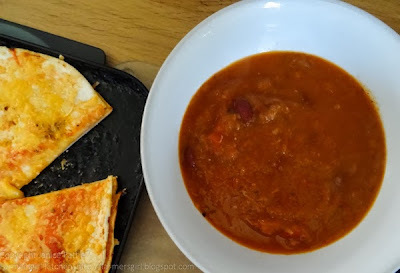 I took this soup to work for a lunch, I felt it needed a little extra seasoning but once that was fixed it had good texture and flavour and was fresh and light. New Covent Garden Soup Co. Pulled Pork and Bean Soup is Soup of the Month for November and a substantial spicy meat and bean combination. I served it with Quesadillas for a tasty and filling lunch. It's always a particular pleasure for me to review Scottish products like this Scottish Rapeseed Oil from Borderfields. Cold Pressed Rapeseed Oil is a home grown substitute for olive oil with a healthy balance of omega 3, 6 and 9. It also has half the saturated fat of olive oil and no additives. 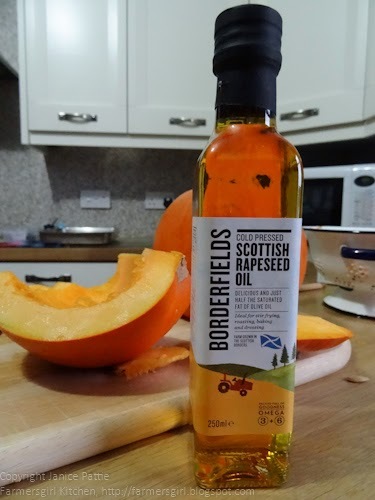 Borderfields' Cold Pressed Scottish Rapeseed Oil is ideal for all kinds of cooking, baking, stir frying and drizzling. I used it to roast some pumpkin chunks for a Kale, Pumpkin and Smoked Cheese Tart the oil has a lovely creamy flavour but it doesn't overpower the flavours of the food you cook in it. 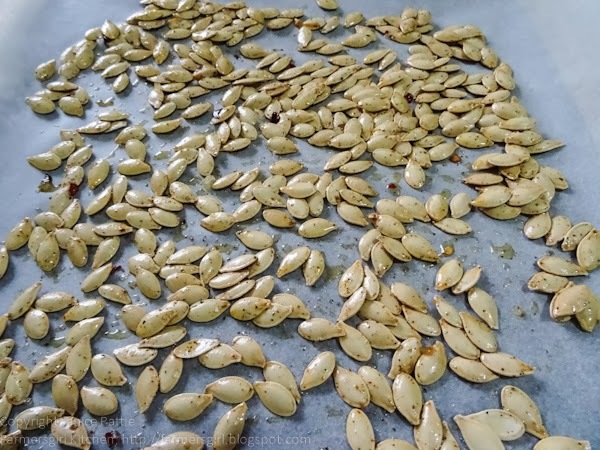 I also roasted some the pumpkin seeds with spices to make a tasty snack. Borderfields Cold Press Rapeseed Oil is available across the UK at Asda, Sainsburys, Aldi and Morrisons and at Tesco in the North and Scotland. I picked up this pack of Extremely Chocolately Honeycomb Crispies at Marks and Spencer, I didn't realise that they were designed to be low calorie for the Count on Us menu planner, when I chose them, but I have to say I was quite impressed. Each square is individually wrapped (ideal for lunchboxes) and they are 120 calories per crispie. 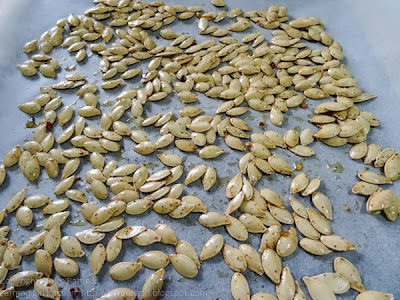 They are nice an crunchy and you can really taste the honeycomb. 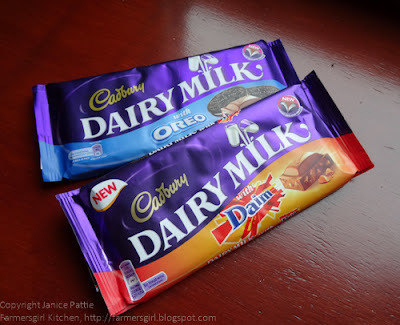 I was supplied with the following products for review: Cadbury Dairy Milk with Daim, Cadbury Dairy Milk with Oreo; Covent Garden Soup Co. Pulled Pork and Bean and Skinny Souper Green with Italian Basil Pesto; Borderfields Scottish Cold Pressed Rapeseed Oil. I purchased the Extremely Chocolatey Honeycomb Crispies and am sharing my review because I enjoyed them and thought you might too. I was not paid for any of these reviews and all opinions are my own. nice round-up... was never that keen on Daim bars but the rapeseed oil is a winner!